Here is my final halloween post from the countdown. 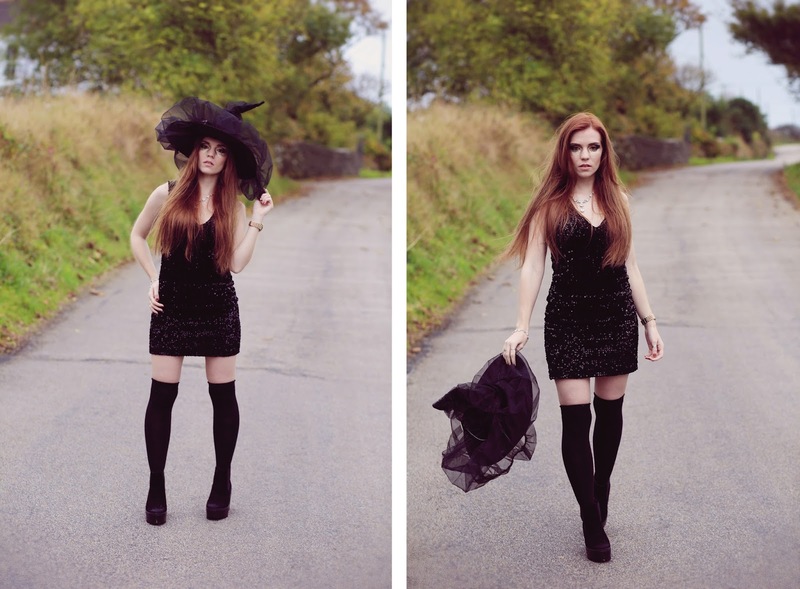 This is the halloween shoot I did as a dark glam witch. Black is just the best colour for an occasion but its perfect for halloween given it's all about darkness and horror so I went with dark glitz and glam for the look on this shoot for Griffin Photography's halloween cover. I absolutely loved this look and the make up was just incredible. There is no such thing as too much glitter and sparkle, so this theme ran right through the shoot. 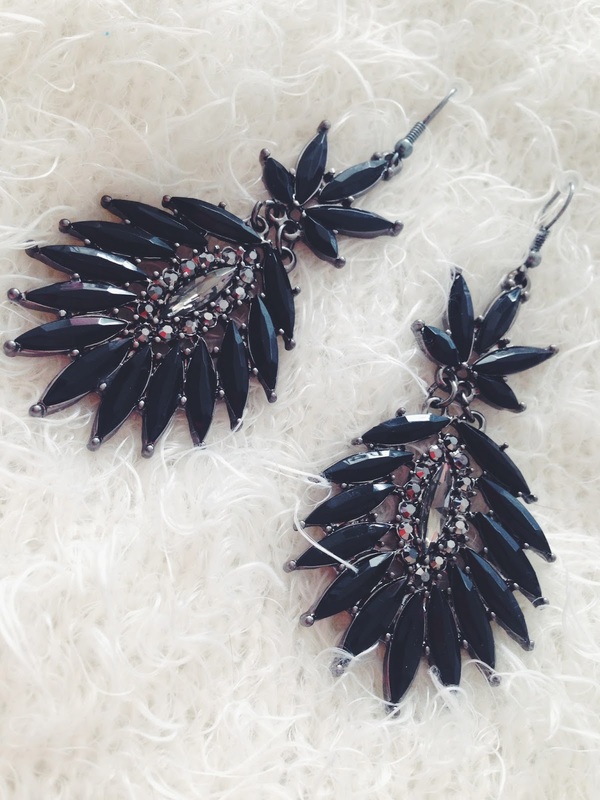 A statement sequin dress from TopShop showed off the amazing jewellery from GlitzySecrets. 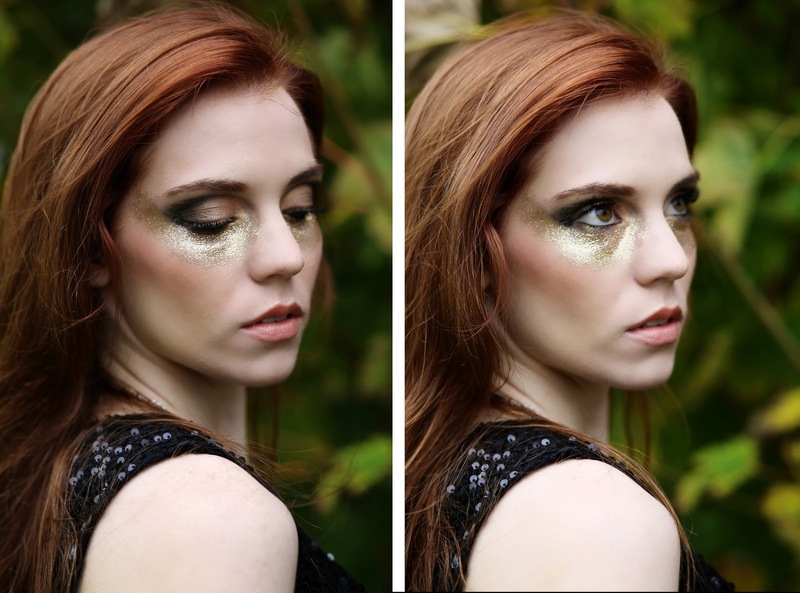 All made even more epic by the gold and black glitter eye make up. It does help the effect that my eyes were being an especially weird colour in this shoot that somehow matched my hair making it even more creepy. Not all halloween costumes have to be blood, gore and death, so I felt this shoot added a new slant on the holiday, a chance to be whatever you want. Still getting used to having red hair after so many years being blonde but this shoot is definitely one of my favourites to date, it is also the perfect time to be really pale and proud. Any excuse to dress up and get covered in glitter. I hope you all have an amazing Halloween, whether you're off to a party, going out or going trick or treating. Stay safe and don't scare too many people! Tomorrow is Halloween so this is my second post to bring you some dark inspiration for your outfits. This black lace bralet by CelebLook is perfect for a dark glam outfit may it be vampire themed or lacy witch. (Just to make it clear that I am not wearing white makeup...i really just am that pale that I glow) The detail of the bralet screams elegance with the fine fringes and the zip up the back. 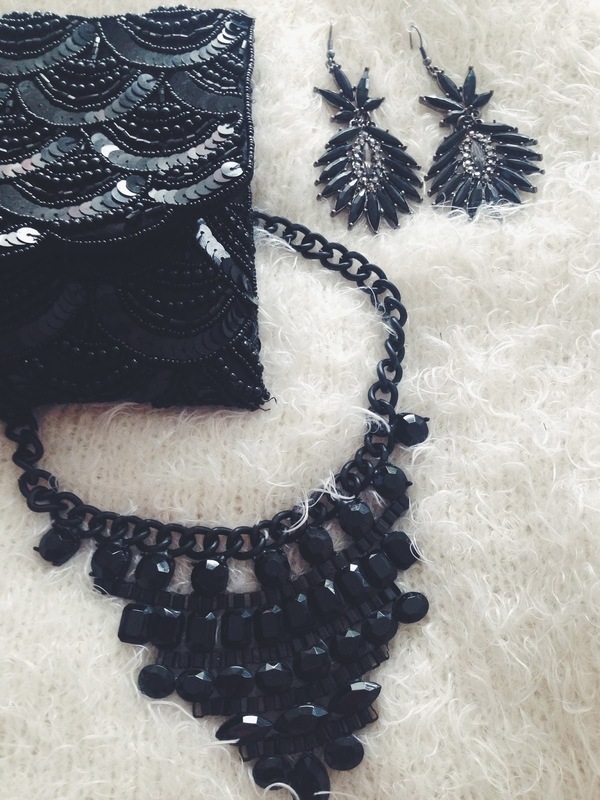 It's a great chance for an all black everything outfit and would be perfectly paired with the statement set on yesterdays post. Halloween isn't always about the costume and if you wanted to focus more on your make up with a haunting face this would compliment your art skills perfectly. As well as Halloween being all about dark shades, this delicate bralet is beautiful even in the day. Paired with a coat or blazer to keep the autumn winds off, high waisted jean, heels or boots it makes a wonderful seasonal statement for this time of year. Lace is one of my favourite things when it comes to clothing and the detail on this is just so classy I can't seem to wear it enough. Halloween is creeping up on us so as of tomorrow FiveFootFour is counting down with some special halloween themed articles to help you get in the mood! 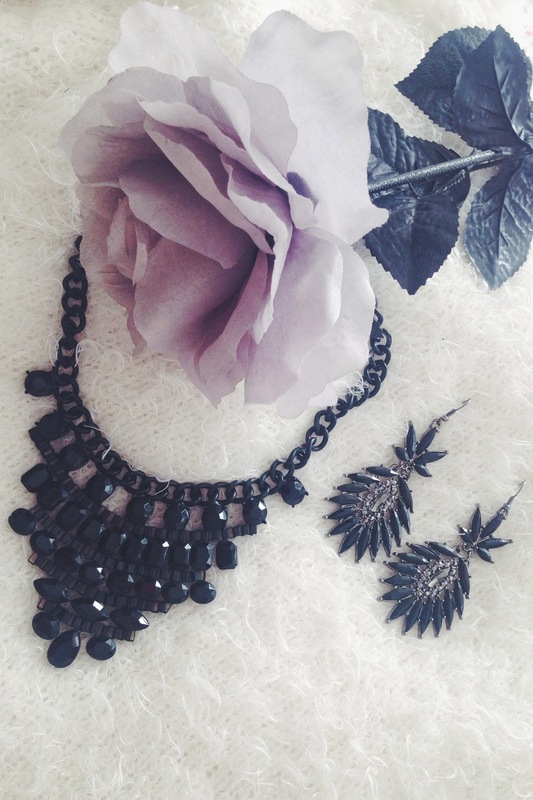 Featuring some amazing jewels, clothes, outfits and finally a special halloween shoot. It's a glitzy glam, sparkle filled halloween this year and if you want the look keep an eye out for some beautiful glittery items that feature in the next three days! Each post will feature items from CelebLook, Glitzy Secrets and PaperDolls. All of which are selling some must-have items, so take a look and stay tuned to see how I style them this Halloween! As some of you may know I am studying to get my degree at Falmouth University so my life is manic at the moment. But my true passion lies here in this blog and I can't ever peel myself away from it. Today I've been trying to get my dissertation done but of course you need breaks from boring things and treat yourself with the things you love. Mainly to keep yourself sane in this mad world. Recently I've been obsessing over snowflakes, it may or may not have something to do with my love for Frozen but I find them so underrated and fascinating how they are never identical. So I took some time to do some doodling and have some tea. I find when stressed, immerse yourself in your passion with a cuppa and everything seems instantly less intimidating. Goodbye monday blues. As you all know Sunday is my favourite day of the week. And today is a day of inspiration and reflection on my week. Just thinking and clearing my mind I thought of all my favourite things at the moment and thought I'd share them with you all. We all have those little obsessions, little items that mean something to us and we cherish. No matter how many people in the world own the same item they all mean something different to each person. Here are my current obsessions. Things I can't go a day without looking at or wearing. We all get attached to items that will forever carry a story or just mean a lot to us for some reason or another. It's always good to feel grateful for the things you have and the life you have. You can have everything in the world that you wanted, but if you are not thankful for what you have you can't live a full life. You can have a few little pieces that you look at and are so thankful for and your life will be all the more valuable. No only items but people, experiences, memories; stay thankful and stay humble. 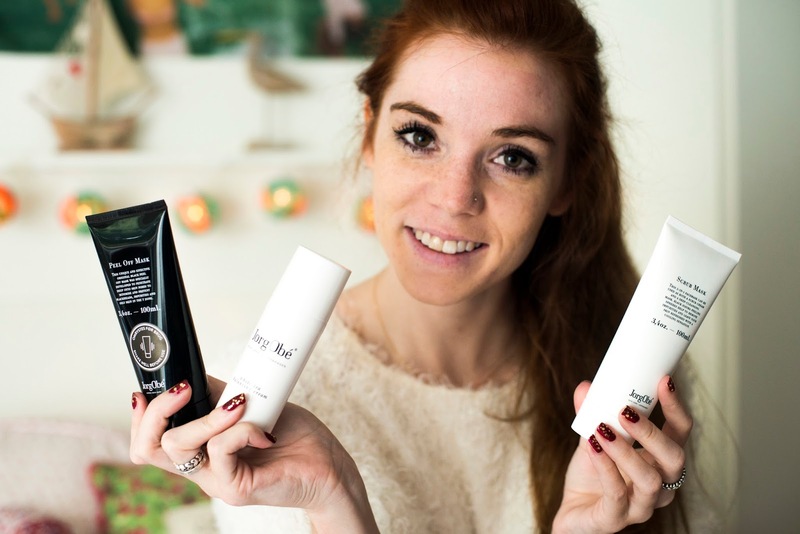 I have been lucky enough to test some amazing skin care products from the lovely people at JorgObé Skin Care / Copenhagen. 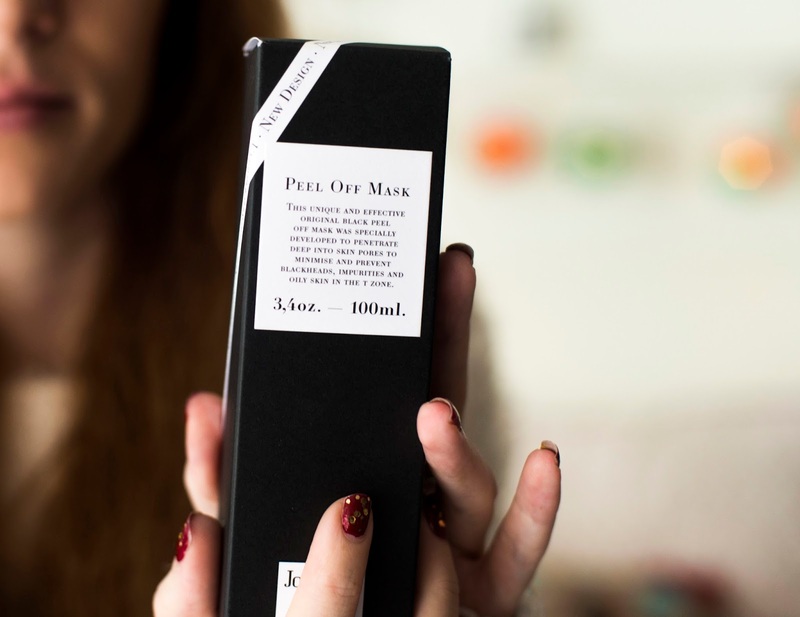 They combine the best natural and active ingredients to provide products so everyone can have beautiful skin. Here is my experience of testing them! ENJOY! 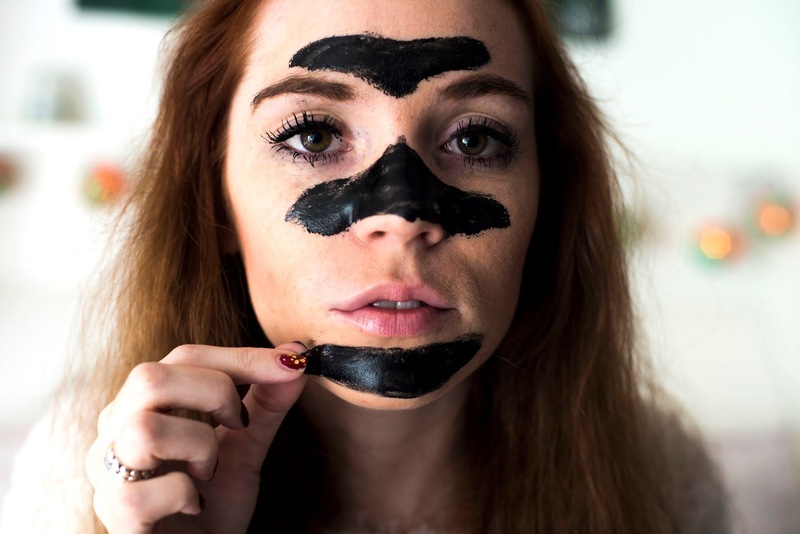 The first product I was able to test was the award winning Black Peel Off Mask. 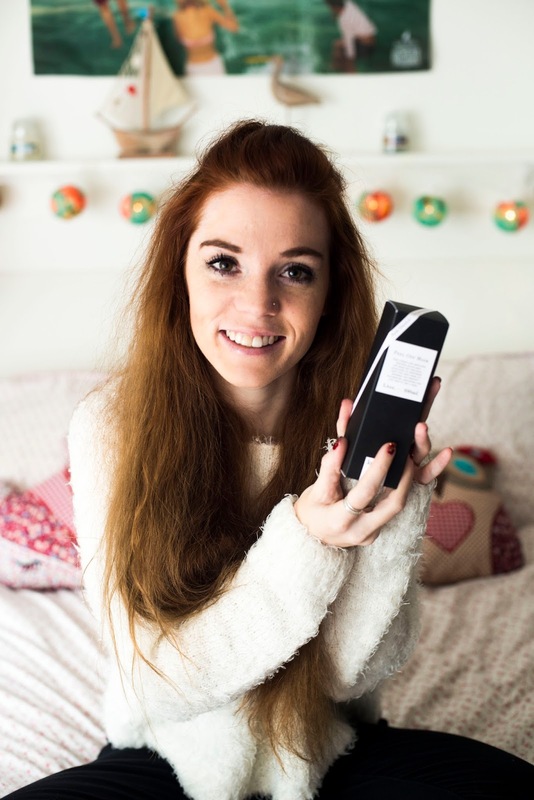 With its jet-black colour it is wonderful to apply and silky smooth on your face (and perfect for a selfie). 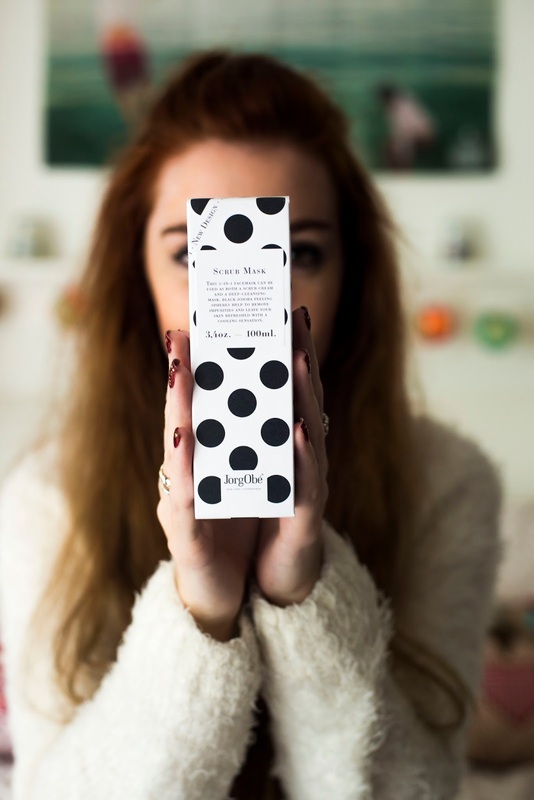 This product is applied to areas in the T-zone; nose, forehead and chin, where pores are more oily and clogged. 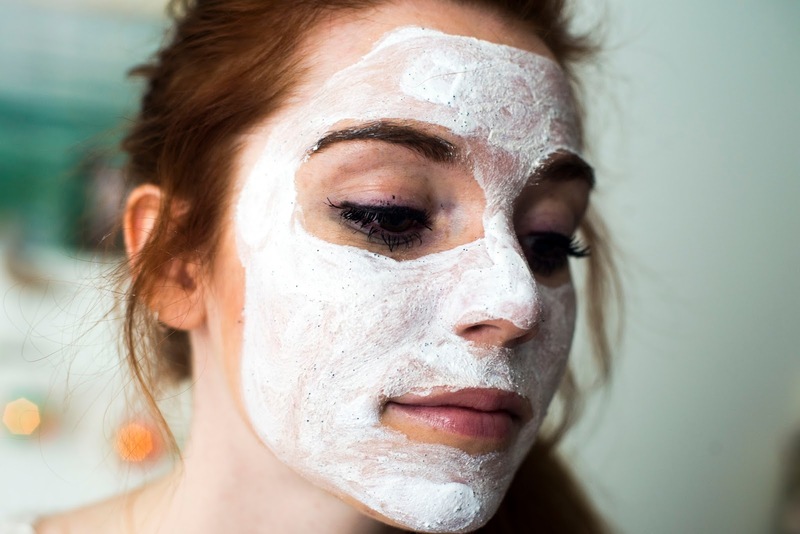 Within a few moments of having it on it felt so fresh and unlike other facemasks, not heavy on my skin. 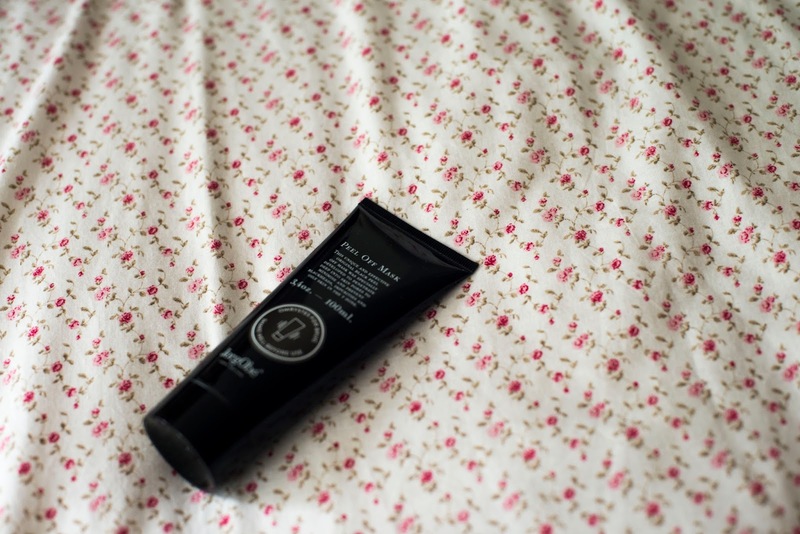 The Peel Off Mask contains no colours, parabens, mineral oils or silicone. After leaving for 25-30 minutes and it’s completely dry it simply peels off without pinching or irritating the skin. After rinsing with warm water to get rid of anything left over I then applied their White Tea Balancing Cream which soothes and left my skin feeling so clean and pampered. 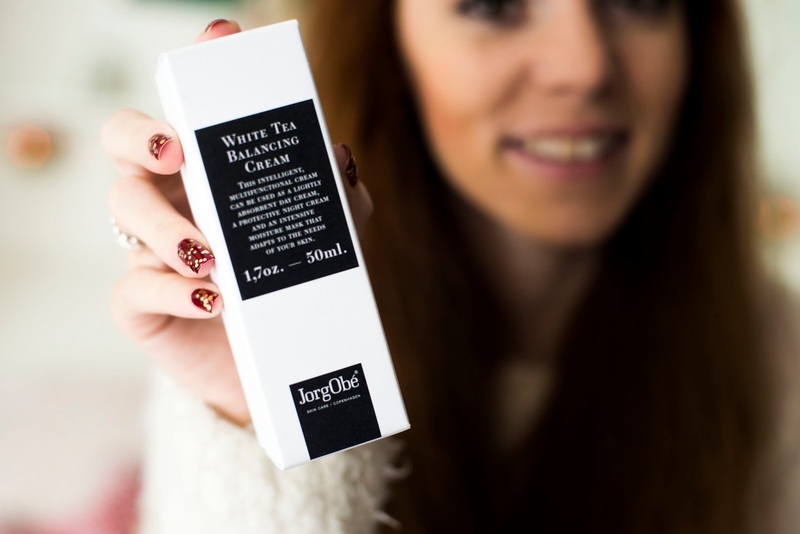 This leads me onto the second heavenly product by JorgObé; the White Tea Balancing Cream. It is a nourishing and moisturising cream that keeps the skin evenly balanced no matter what the skin type. I normally have quite dry skin and after applying this there was no itching just smooth, tight skin. As it contains Argan oil and Sesame oil this helps the skin return to its natural balance and keeps the skin looking youthful and healthy. I have been applying this every morning to wake my skin up and it’s made my skin feel so much softer and no more dry patches. 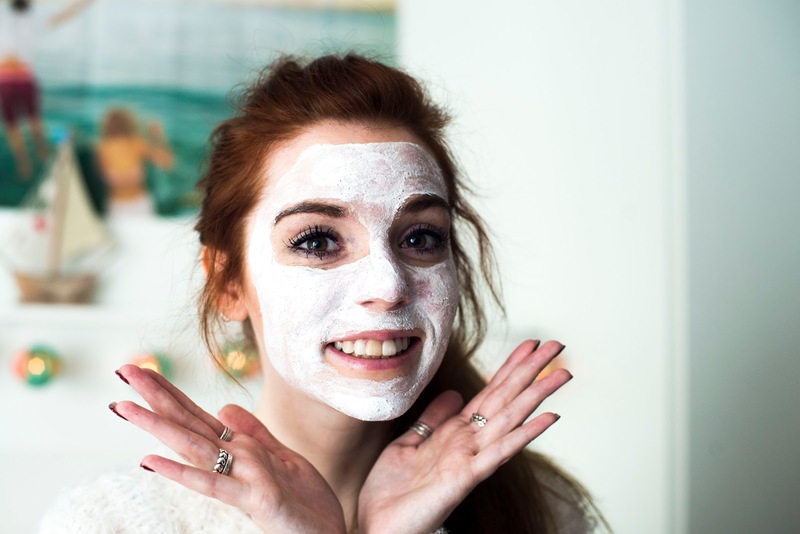 This brings to my final exciting product to share with you; The JorgObé Refreshing Scrub Mask. It is a 2 in 1 cleanser that combines a refreshing scrub cream and a deep cleansing facemask into one. 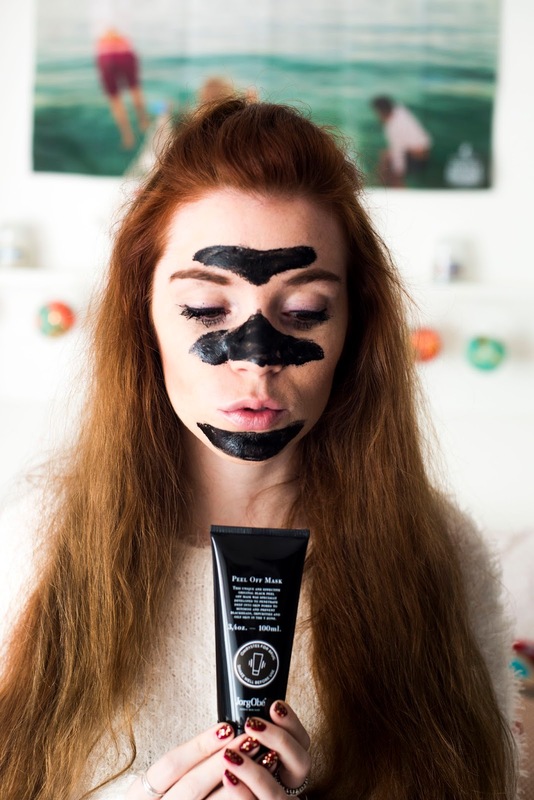 You hear a lot of masks/scrubs that claim to leave your skin feeling refreshing, soft and alive…but this is the first one I have come across that ticks all the boxes. After applying a thick even layer to my face, leaving for 10-15mins then washing off with warm water, my skin felt so alive. It woke me up, it felt like I had just stepped out of the sea. 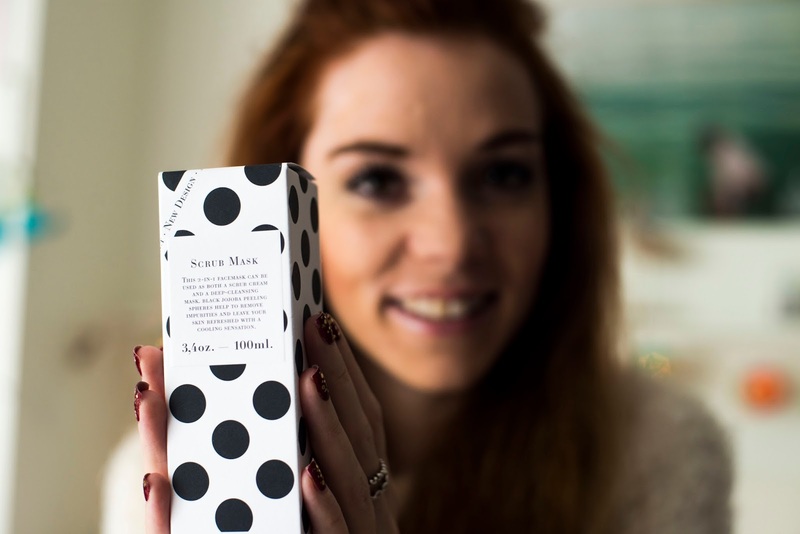 It is such revitalizing feeling, that I couldn’t recommend more if you care about your skin. Also made up purely of natural ingredients including Apricot kernel oil and Shea butter which help protect the skin during peeling and allowing it to stay soft and clean. 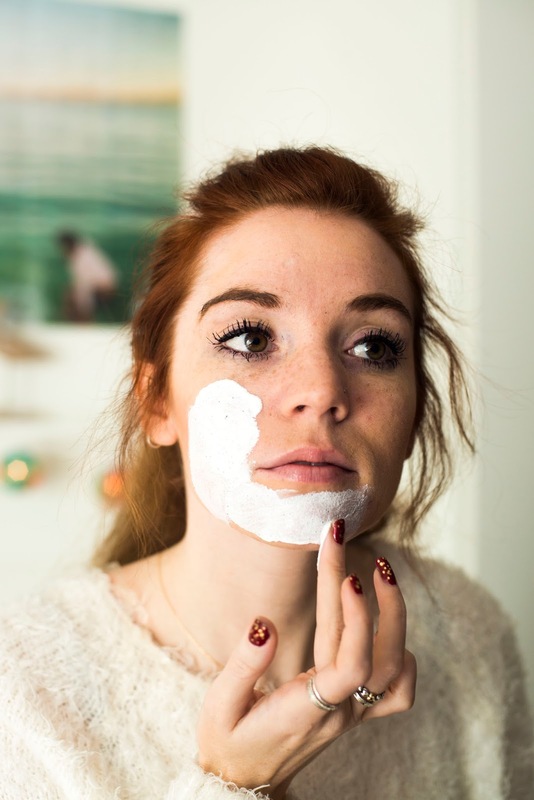 After applying and rinsing off I then applied the White Tea Balancing Cream to keep that fresh-faced feeling. After testing all these products I really couldn’t recommend them more. I usually struggle with keeping clean oil free skin without blemishes but since using these products my skin feels tighter, more refreshed and so much nicer to touch. 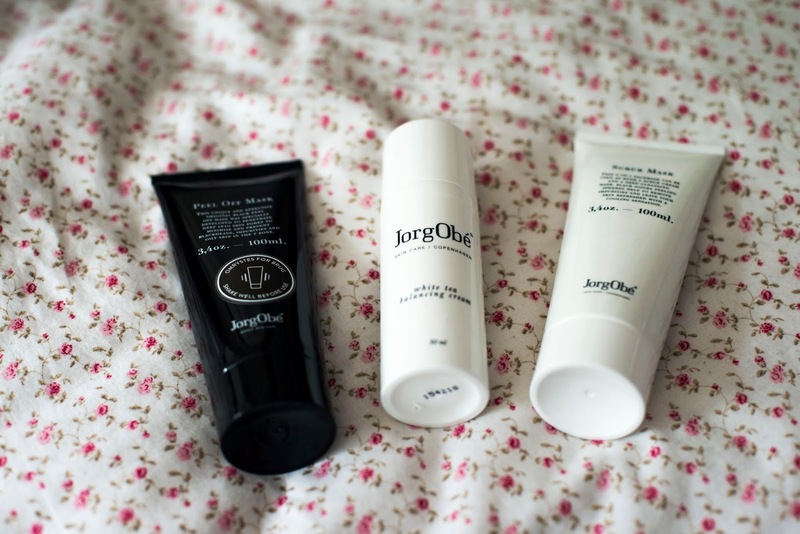 As JorgObé is made in Denmark they are now making their debut in the UK so make them feel at home and go try their amazing skin products!